have arrived! Oh, yes! I am jazzed to be sure. Maybe I can get started on the jewelry chains Sunday and make some forward motion toward fruition of a piece this week. How cool would that be? See "Rosa and Josies" in the sidebar. Thanks. Wow Karen! There'll be no stopping you now. You'll probably end up finishing before me! 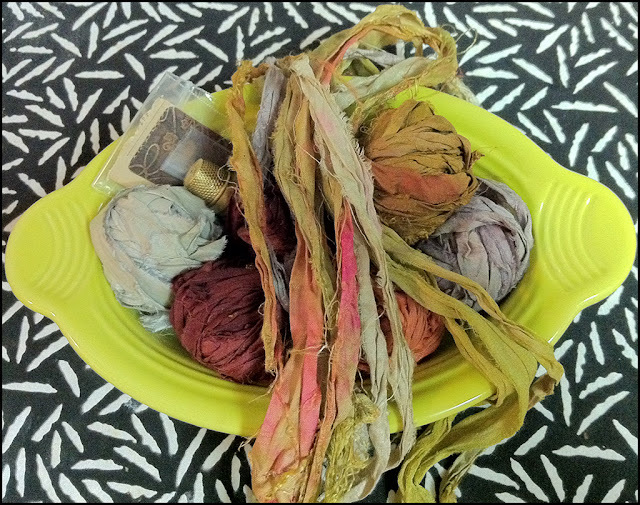 I love the colour of your sari silk!